A lovely stone built end terraced cottage, modern and tasteful, overlooking open parkland known as the The Holme and to the River Ure. Gravelled garden to the front and flagged patio to the rear. A modern, tasteful cottage with a large, comfortable lounge with dining area and woodburning stove, very well equipped kitchen, two bedrooms and stylish house bathroom upstairs. Light and airy with excellent quality furniture and pretty drapes and excellent fitments. 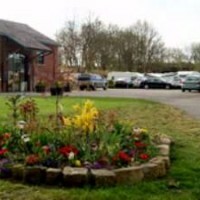 Enjoy riverside walks just a moment away or a few minutes stoll takes you to Masham main square and, of course, perfectly situated to explore all the dales have to offer. AA 4 Star Gold accommodation offering comfort with style. Double, twin, triple and quad en suite rooms. Free on-site parking & wireless broadband. 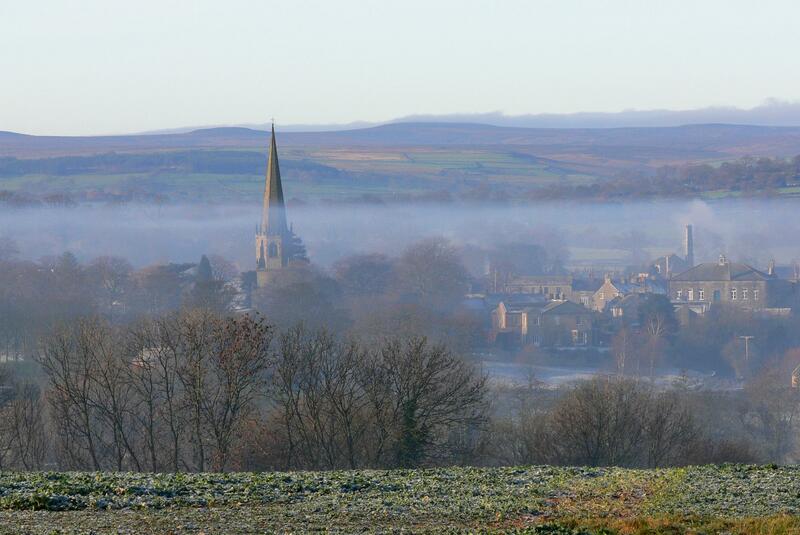 All Masham has to offer just a short stroll away. Located in close walking distance the Masham market square this 4 bedroom Grade 2 listed farmhouse and attached 3 bedroom Stable Block offers comfortable accommodation for extended families and groups. The property is well equipped to cater for up to 16 guests with its large rooms, comfy beds, open fire/wood burner, satellite TV, games console, parking at the door, private walled courtyard garden, gas BBQ, pets considered. All linen/towels are provided. Cot and high chair available for our younger guests, Special events, weddings, anniversary celebrations etc. can be catered for on request. Open all year. 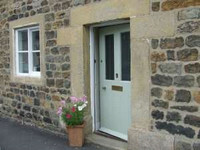 Tucked away down a side street of Masham is a ground floor flat which used to be part of the first Theakston Brewery. The accommodation comprises of a double bedroom, modern bathroom and shower, open plan living and kitchen area. Electric cooker and hob, microwave, fridge with ice box, smart TV, free WIFI, DAB radio, DVD player, underfloor heating. Heating and power included along with bed linen, towels and toiletries. Public parking on market square. Pets allowed. No smoking. Shops and pubs 5 mins walk. Just a short walk from the main market place in Masham you’ll find Lynnian a top floor apartment in a splendid building that once was the home of the Masham Women’s Institute. 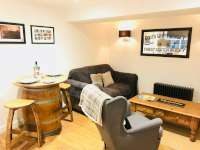 A comfortable, cosy apartment with open plan lounge and modern, very well equipped kitchen, a double bedroom and separate shower room. Lynnian is a modern, stylish apartment with an element of panache and though quite compact provides a degree of space and comfort that belies its small proportions. On the southern fringes of the ancient market town of Masham sits this beautiful, new build cottage. Modern, stylish, spacious, full of natural light, perfect for six people, with private patio area to the rear and loads of parking and small lawned area to the side of the cottage. Badger’s Holt has a large, comfortable lounge, a super, well equipped kitchen, three bedrooms upstairs one with en-suite shower room plus one house bathroom. Walks from the doorstep, few minutes stroll to market square. 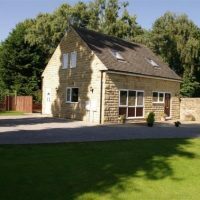 A few minutes walk takes you to Masham market place and enjoy walks from the doorstep into open fields and nearby woods. Cafe & Shop. Pets welcome. Buses stop at gate. Short Breaks are our Speciality – Our stone built cottage is full of old charm with beams, wood burner, timber floors & wobbly walls. The Snug is furnished to a luxurious standard to provide accommodation for up to four guests, with a welcoming homemade afternoon tea on arrival. 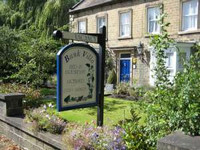 Located two minutes walk from the Market Place. Two bedrooms, super king bed/twin & bunk room. Linen & towels, WiFi & Freeview provided. On street parking. Secure parking for motorcycles. Lockable store for mountain bikes. Dogs £10.00 extra. 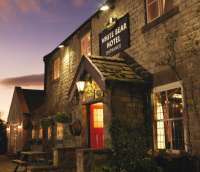 Short breaks from £150.00 for mid-week break inclusive. Children and Dogs most welcome. For independent reviews visit Tripadvisor.